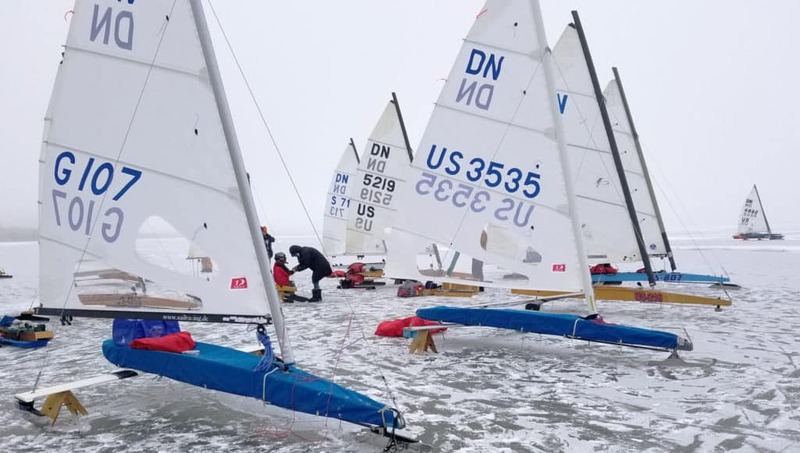 DN sailors from around the world have gathered on Battle Lake in Battle Lake, Minnesota for the Western Challenge fun-regatta. 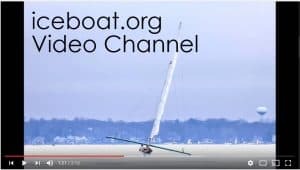 I counted about 30 masts at noon and there were more arriving. The ice is hard with a bit of snow. A couple of marks were set up and DNers scrub raced all day in the lightish air. 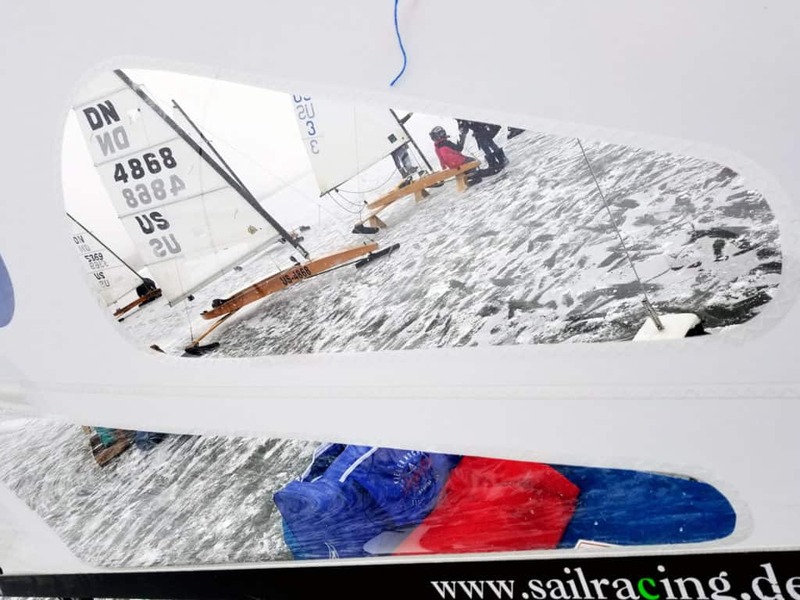 As you can see in the photos, the visibility was low and sailors took care to sail safely.